Happy Monday, everyone! 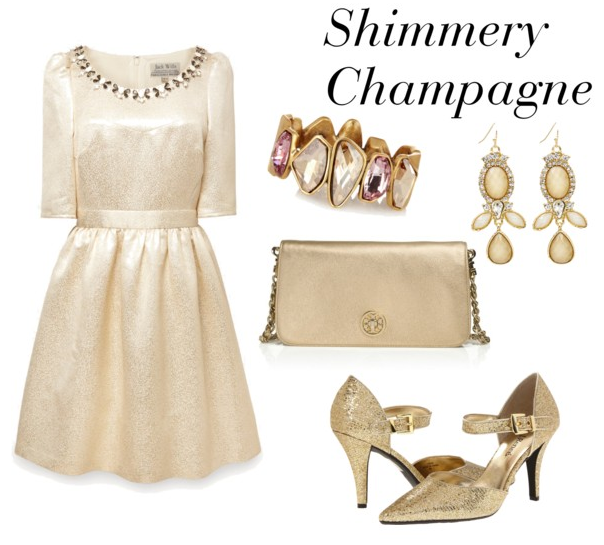 Today's post is all about New Years Eve inspiration. 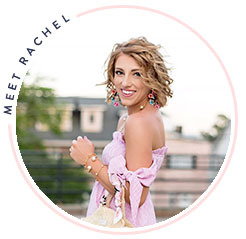 I'm going to share my three favorite outfit ideas along with my three favorite NYE inspired pins. The LBD is a go-to. It's the perfect dress for a New Years Eve celebration. If it's sparkly, I think that makes it perfect. Want to spice it up a bit? Throw on some colored pumps and matching jewelry. If your LBD isn't sparkly, a jeweled collar or statement necklace will add a nice touch. 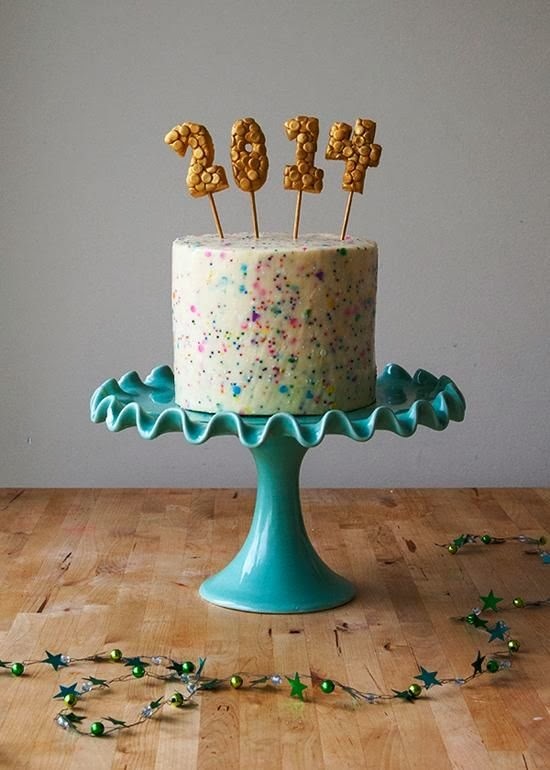 I love this Pinterest idea for a Happy New Year cake! My second idea for NYE outfit inspiration is to tuck a shimmery or jeweled statement top into your plain black skirt. This is actually the style I'm going with this year. A bow belt is a nice touch. I'm actually going to attempt to create the perfect bow for mine this year, so we'll see how that goes. 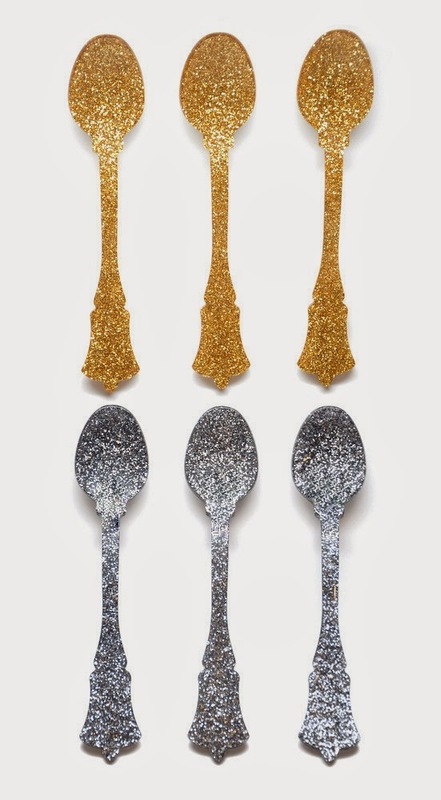 How cute are these glittery spoons? Just a little more Pinteresting NYE inspiration. 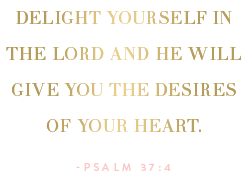 This outfit is sweet, shimmery, and simple. How perfect it is for NYE! This is my favorite NYE pin. I mean how gorgeous can you get! I'd love to get my hands on any of these glamorous dresses. I hope you're feeling ready for NYE! I say the sparklier the better. Love the idea of adding colorful pumps to your NYE outfit, such a fun twist! I love the black dress you posted in the first look! It's so fun and perfect for NYE. I love the inspiration! The LBD is a perfect go to. All so cute! In love with those cobalt shoes.